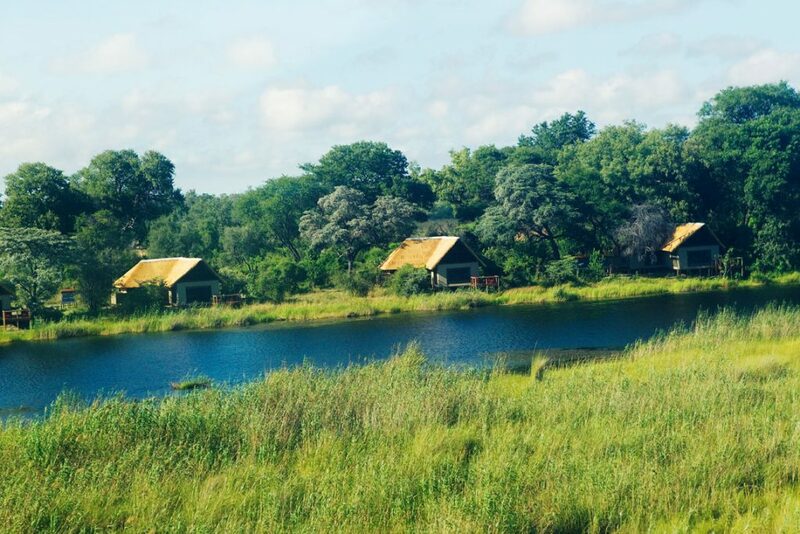 Kwando concession is the largest in Northern Botswana covering 232,000 ha of unfenced wilderness. Only 2 camps are situated in this private concession, the other being Lebala which is in the South. 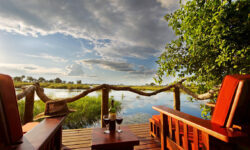 This gives exclusive game viewing especially on the 50km river frontage. 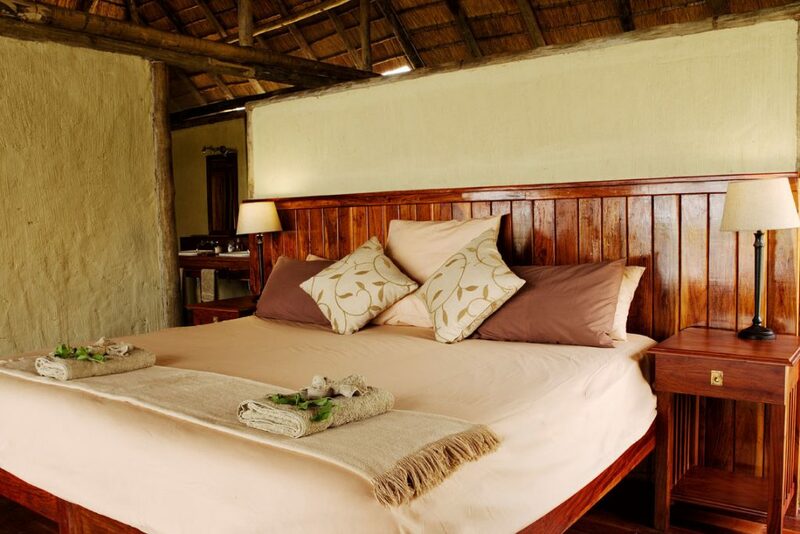 Nestled under ebony and Marula trees the spacious, thatched covered rooms are the perfect place to relax during the day and soak up the atmosphere while looking across the lagoon towards Namibia. Each of the 8 en-suite rooms have a deck with comfortable loungers, the sliding doors lead into sunken garden lounge area with gauze window offering spectacular views of the lagoon. 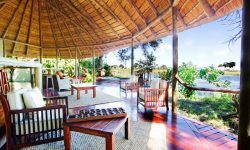 The thatched main area of the camp is on a multi level, top of the area is a library with a wonderful breeze sweeping through. Plunge pool is past the Bar Area where you can relax and cool of the heat of Africa. Game drives are unique with your guide and tracker. You can off road searching for wild dogs, lion and other mammals. Fishing is offered 10 months of the year and basic equipment is provided however avid fly fishers are advised to bring their own equipment.